What can I say? Apart from "I don't want to wait a year before the next one!!!!!" The Others are fascinating. The individuals, the books... Not necessarily a world I want to live in, though it would be an incredible experience, but a fabulous place to spend several hours in. A new twist on Werewolves and Vampires, though the books are about far more than that. 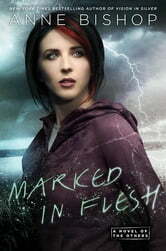 If you like Laurell Hamilton and Kelley Armstrong, it is safe to say you will like this series too. Enjoy! As usual Anne Bishop has created a vivid and vibrant world to loose yourself in. Her charactors are so well fleshed out that you will find yourself rereading her stories to reconnect with old friends. This new series is no different and will leave even the most paitent readers clamoring for the next book and upset that it will not be available until next march. I am addicted to "the others" series. I have re-read this series a few times over. I love the characters, storyline and her sense of humor. Highly recommended reading. Amazing continuation to this series! For anyone who hasn't read this series before: the first book is written in red, then murder of crows, vision in silver, and most recently marked in flesh. You do have to read the books in order to get certain references but Bishop does a great job of reminding readers of important information at the beginning of each book. This series is full of fantastic creatures and hilarious interactions with humans! Well written, fast paced, with subtle romance plots. Love this series and can't wait for the next book!